- From the cookbook Cooking Vegetables. If you have a CSA subscription, chances are you have found a daikon radish in your share recently. Daikon radishes are a staple in Asian cuisine, the name daikon is actually Japanese for "great root." They're a prolific vegetable and can often grow up to 20" in length with a diameter of 4"! 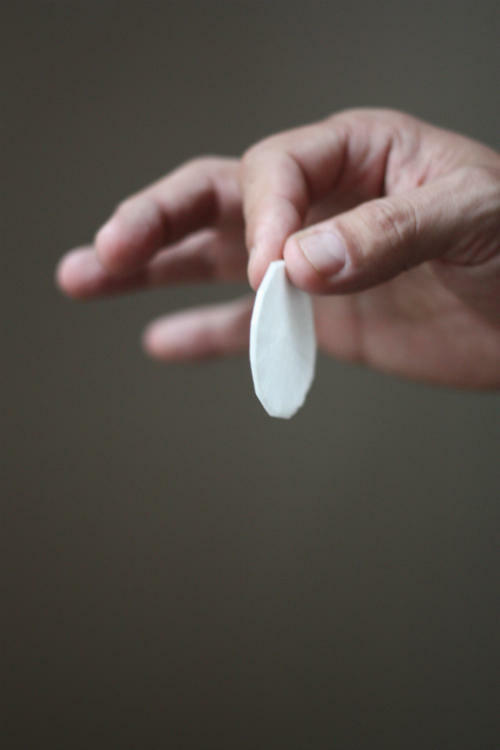 Recently, reporter Josh Rogers was the recipient of a rather large daikon radish, and asked: what do you do with this? Traditional Vietnamese Do Chua consists of daikon and carrots cut into thin match sticks and pickled. Daikon makes a nice crunchy contribution to a salad or sandwich. Wash and peel the radish, then grate, shred or slice thin. If your particular specimen is rather large, you might want to skip to one of the cooking suggestions; the smaller radishes are typically better for raw applications. Traditional kimchi is made with cabbage, but the flavors and spices used to pickle cabbage also work well with radishes. This is a cold recipe in which large radishes are preferred. A simple and quick refrigerator pickle recipe, you'll be able to enjoy your radishes the very next day! 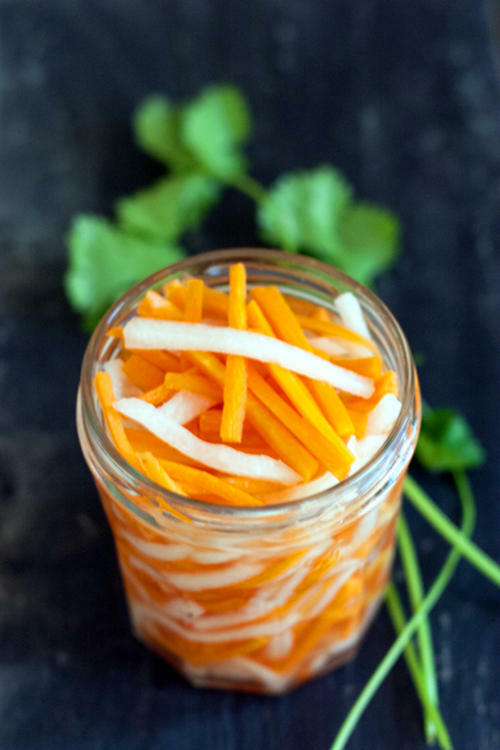 Do Chua is a traditional Vietnamese pickle, the addition of carrots adds color, flavor and texture to the jar. Daikon are relatively interchangeable with turnips so they can easily be added to stews and soups to offset the richness of slow cooked meat. When slow cooked, daikon turns soft and mellow and absorbs a bit of the flavor from the cooking liquid. Thin sliced radishes are Tim Vidra's secret to crispy radish chips. A bit like a potato cake, this recipe features grated daikon and a few basic ingredients to make a tasty little cake that would go well with a variety of main courses. If you're already making Kale chips from your CSA bounty, why not add radish chips to your repertoire? A traditional Indian stuffed pancake, this recipe for Mooli Paratha suggests using the fresh leaves from your radishes. Do you have any favorite daikon radish recipes? Tell us about it in the comments! This week some NHPR staffers got their first weekly share of veggies from a nearby CSA – which stands for community supported agriculture. The idea is that consumers buy a share of the year’s crops in advance – that gives them a weekly supply of produce, while farmers get a more stable income stream than what they might have selling just through farmers markets or farmstands. “Parties don’t throw themselves….” That’s the opening sentiment of Lust for Leaf, a new cookbook and party guide that turns vegetarian fare on its pony-tailed head.